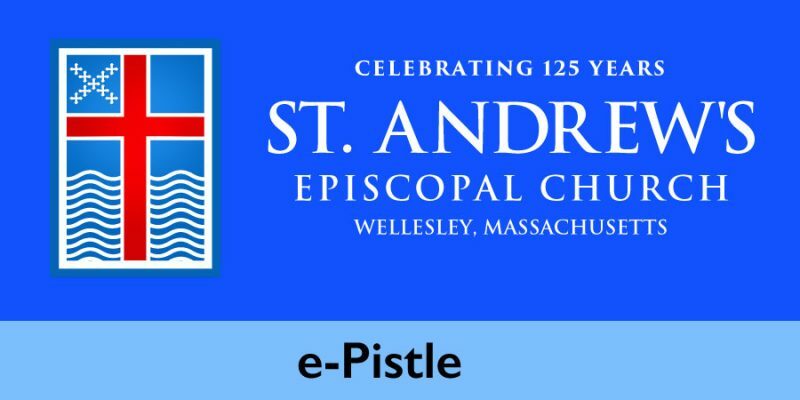 The e-Pistle is a weekly announcement email. To view this week’s e-Pistle, click here. Current and past e-Pistles are also posted on our Facebook and Twitter feeds (click the social media icons on the top bar, in the upper-left corner of your browser window). To sign up to receive the e-Pistle in your email, please contact the Parish Office. Announcements and gratitudes (and anything else) for inclusion in the weekly service bulletin or e-Pistle are due on Tuesdays at noon. Please limit your announcement to 50-100 words.